Information The Cumberland County Genealogy Centre is operated by the Cumberland County Genealogical Society on a volunteer basis. 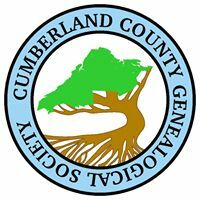 They offer knowledgeable assistance for people researching Cumberland County families and local history. CCGS also offers research assistance to those who request help via email, phone or letter, with retrieval fees of $5.00 plus costs, or research fees of $15 per hour.